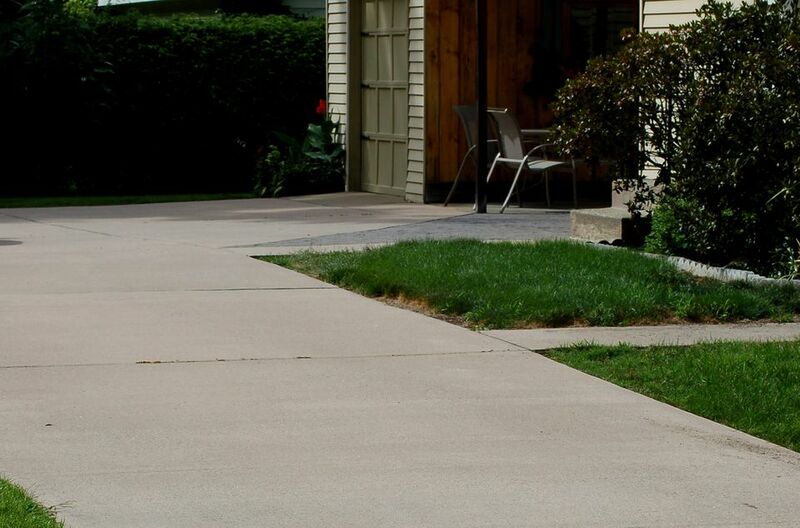 What Are the Basic Types of Driveway Paving Materials? New homeowners with inquiring minds may wonder, "What are the basic types of driveway paving materials?" But do not think that this is purely an academic question or even just a matter of aesthetics. The kind you choose can have a great impact on your yard -- and on the way you maintain your yard. Some new homeowners who have bought a suburban or rural house have done so mainly out of a love for gardening. Apartment living simply did not offer sufficient space for them to grow plants. Such folks may not take much of an interest in hardscape. They want a natural-looking yard, and landscaping elements such as patios and decks hold no fascination for them. But there is likely to be one example of hardscape even in the yards of homeowners of this sort, assuming that they own a car: namely, a driveway. If I have just described you, try to suppress that yawn (yes, I heard it) for a few moments, as you read this article. Because, boring or not, picking a driveway material suitable to your goals and needs is important. You could save yourself a lot of trouble later by selecting a type of surface compatible with your situation right from the outset. I will expand on that point as we progress through this FAQ. Having to go to great lengths to fix it, should it crack, etc. Sometimes, you will find yourself attracted to a particular type of driveway paving material for this or that reason, only to realize that, alas, it also presents a serious drawback. In these cases, you will have to prioritize. For example, the surface in question may be inexpensive to install yet require more maintenance than you wish to put into a driveway. Weigh these competing factors carefully and decide which one, ultimately, is more important to you. If you are young, are healthy, and are landscaping on a budget, does it really make sense to go into debt just to save yourself a small amount of maintenance? Driveway paving materials fall into two main categories: solid-surface (i.e., smooth, seamless, even surfaces) and aggregate-surface. The most popular options lie in the first category, led by asphalt and concrete. Aggregate-surface driveway paving materials include gravel and crushed stone. Driveway pavers lie somewhere in between these two main categories, because there are cracks between the individual pavers. But although these pavers are individual components that are pieced together to form a whole, some types of pavers can, if laid properly, form an almost seamless, even surface, with no raised areas to give your snowblower fits. The "odd ball" of driveway paving materials is tar-and-chip. It is similar to asphalt, but it doesn't provide a smooth enough surface for snowblowing.